How hot things may become during the heat period we can see in the photo where a wholly wild lynx walks on the Elistvere animal park paths. An interesting female lynx lives there. In the second half of February a strange restlessness creeps into the soul of lynxes. They move more than needed for hunting. The animal that has practiced a solitary living mode suddenly takes a great interest in his neighbours. On prominent tussocks and tree trunks odour marks are left: urine is sprayed. This has been done earlier too to mark the territory but not so frequently. Now we have a calling card that announces who I am, from where I come and what I want. Often the border of the territory is violated that in turn triggers violent quarrels. Vocal calls are important. The repertoire is rich. A lynx has an extremely sharp hearing so the mating song will not be performed for deaf ears. The best chance to experience this is on a March night in the Elistvere animal park. 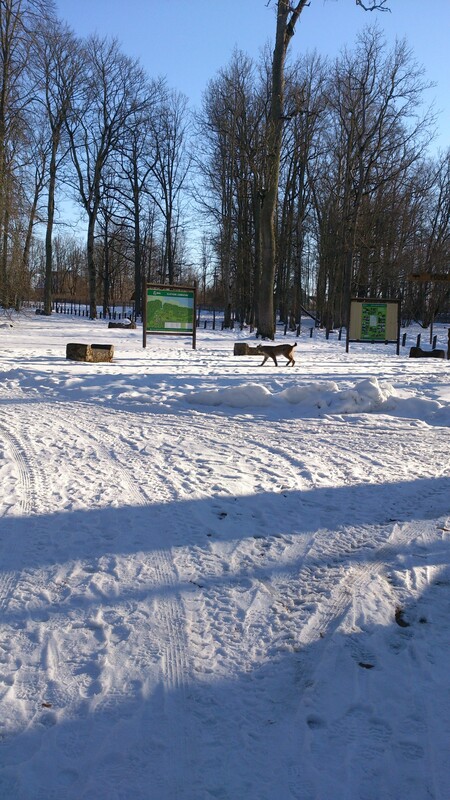 Few have heard a lynx in the forest. I remember that years ago on the stairs of my father’s house I heard in the dark in January the repeated calling of two lynx kittens searching for their mother. They did not find her. Famine and cold ended the intermittent calls within a week. The lynx kittens, by now nine months old, cannot understand what has happened to their mother. The female that until now has shown extreme love and care has turned negligent towards her offspring and sometimes even hostile. The hungry calls of the kittens will not make her go out hunting. She is interested only in the scent marks left by the male lynxes. The young don’t know that matings are beginning. Nor would the knowledge be of any use to them. They have no use for the mating period. It is time to become independent and to avoid meetings with the surly male lynxes. Firstly they check the places where the female has managed to kill someone earlier. Food leftovers and surplus are usually hidden in the snow. These are searched for now. Mostly foxes and other strangers have made a clean job out of it. Often a raccoon dog can be encountered there. Easy prey! Hunger does not allow any complaints about taste quality. In the latter half of this winter the roe deer are full of vitality. Attempts to catch them go wrong all the time. Moreover the female has already culled all the weaker ones. For the young .lynxes weight as well as gripping strength of the jaws is lacking. For them thick snow with an ice cover and prey animals with a weakened physique would be suitable. But what is absent is absent. Now they would need hares, mice and wild hen birds hidden in the snow for the night. Appropriate prey in all ways. But they are not there. The state of mountain hares and hazel grouse is worse than bad, and peak periods of mice come at intervals of 4-6 years. This winter is not notable for a wealth of mice. As a last resource they search out the mother. Occasionally she shows mercy and shares her prey. But the young have barely managed to sooth the worst hunger before they are sent off to find a bellyful on their own. Forest life is grim. Good if half the lynx kittens become adults. It means that they live until their first mating. Female lynxes become sexually mature in their second year, male lynxes in their third.